Discover the #1 reason depression strikes. Arm yourself with the tools to reconnect to your source of joy and vitality with Kundalini Yoga. Our lifestyles are often counterproductive to emotional health and wellbeing. Information overload, demanding jobs, family responsibilities, financial obligations, and being disconnected from the people in our lives makes it difficult, if not impossible, to experience real happiness. So many people today are suffering from depression, and its impacts can be devastating. Depression manifests in a lot of different ways, and often feels like: sadness, loneliness, anxiety, grief, fatigue, brain fog, memory loss, procrastination, loss of interest, and feelings of hopelessness. Perhaps you can relate to these feelings. Perhaps you have turned to some self-defeating habits in an effort to comfort yourself. These only serve to perpetuate the cycle of depression because you don’t know of any other way to begin feeling better. There IS a way to start feeling better that does not involve harmful self-medicating habits such as alcohol, tobacco, food, drugs, or other detrimental ways of self-comforting. But first, we need to understand the root cause of depression. Whether the depression you experience is situational, seasonal, chemical, or the cause is unknown, depression can wreak havoc on every aspect of your life. Everything suffers, from your state of health to your relationships to your career and more. It can feel impossible to escape. 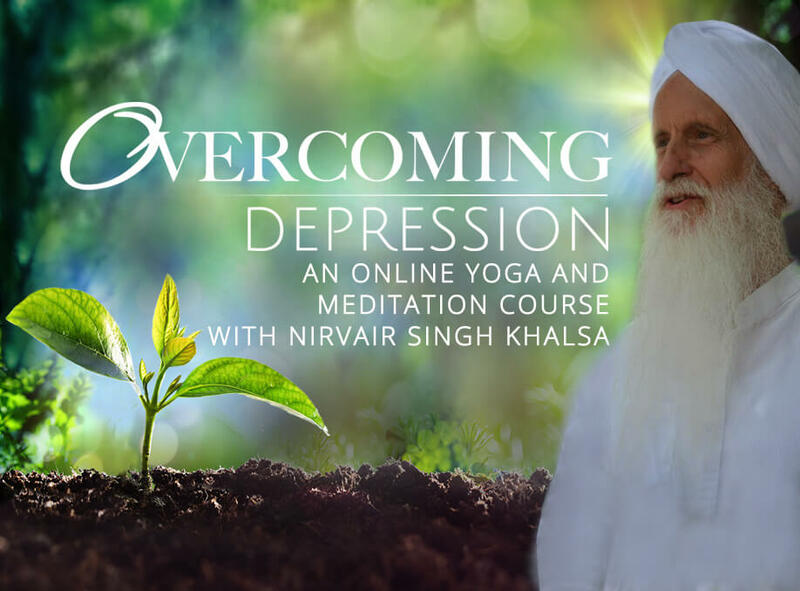 In this course, Nirvair shares the number one cause of the depression so many of us experience. He offers a number of accessible, practical tools that you can begin using to start feeling better – today. These practices are intended to help support a healthy lifestyle and assist you on a journey to overcome depression. The ideas, procedures, and suggestions in this course are not a substitute for the professional medical advice of a trained health professional. If you think you have clinical depression or any medical problem, promptly contact your professional healthcare provider. Guru Singh is a celebrated third-generation yogi, master spiritual teacher, author, and musician. Guru Singh teaches conscious living through the tools of Humanology, Kundalini yoga, meditation, and sacred sound. He was born in Seattle in 1945 into a yogic spiritual household to a artist father and musician mother. His teachings grew from an esoteric curiosity inspired by his family’s deep connection to the masters of India and the blessings of being ready when teachers appeared. Paramahansa Yogananda was his first teacher. Guru Singh’s great-aunt met Yogananda in Calcutta in 1916 and travelled with him from India to America in 1919. She studied with and served him until his passing in 1952. In January 1969, Guru Singh met Yogi Bhajan, a spiritual leader from northern India and master of Kundalini yoga. From that moment on Guru Singh has been studying and teaching Kundalini yoga and meditation, a science taught in India for over five thousand years. He has spread this ancient science with passion and a practical fusion of Eastern mysticism into Western pragmatism. Guru Singh’s books, music, yoga/meditation classes, blog posts, podcasts, and humanology lectures uplift thousands worldwide. 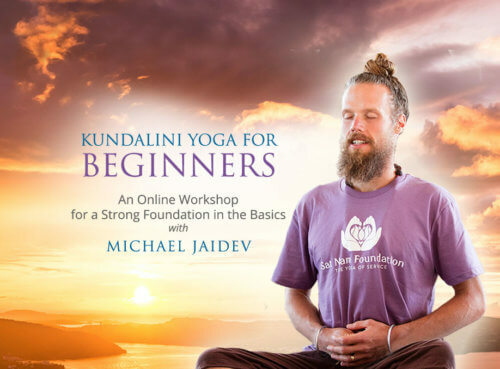 Based in Los Angeles at Yoga West and Golden Bridge yoga studios, while traveling the world, he also teaches Kundalini Level I and II teacher training courses. He meets students privately for consultations and sound healing sessions when in Los Angeles. Does this course recommend stopping medical treatment for depression? Absolutely not. If you are clinically depressed, you should seek treatment from a medical provider.